Whether living or visiting San Antonio, there are a plethora of fitness activities one can partake in. From the River Walk to exploring the Alamo, San Antonio is a great city to explore outdoors. If the weather doesn’t permit outdoor activities or you are looking for a more traditional workout, it may ease your mind to know San Antonio has amazing gyms as well. For all you fitness junkies, the gyms I’m about to mention will make you want to drop what you’re doing and pick up some iron today! I have a guilty pleasure for health clubs because they tend to be luxurious even when you sweat. Tru Fit Athletic Club molded right into that idea with its comfortable massage chairs and private showers. When I arrived at Tru Fit, the first thing I did was talk to the front desk to get a few class recommendations. Lucky for me, Nikki told me the kickboxing class was going to start in 5 minutes and she highly recommended it. her suggestion was spot on! I had the best time and best workout kickboxing! Every “round” had different combinations to try and different equipment to use making every moment more exciting than the next. I loved every minute of my time there and can’t wait to go back the next time I’m in San Antonio! My time at the LA Fitness on Loop 410 was time and money well spent! The gym is very spacious and has a laid-back feel. It is great for those who like a traditional gym look while getting the perks of a high-end gym amenities. I loved taking their Zumba class and relaxing with some yoga. The teachers were great at explaining how the class works and the different moves we had to do. I also got a chance to do their cycling class as recommended by Holly. It was fun using the weights along with the bike for a high impact workout! San Antonio’s Gold’s Gym in The Quarry is a big-box club you won’t want to miss out on. This gym has plenty of equipment and free weights, so you won’t ever be waiting around for someone to finish their sets. It’s great if you just want some time to really focus on yourself and your workout. The amenities are great too! They have the cardio equipment and resistance machines that everybody needs for a great workout. When you’re done you can enjoy their steam room or sauna for relaxation. I got a recommendation from Bianca to try the HITT class. I absolutely loved it! It was better than I could have ever imagined and I will definitely find a local HITT class back home in Dallas. Anytime Fitness was a nice quaint gym to go to. This gym may be on the smaller side, but it has a lot to offer. 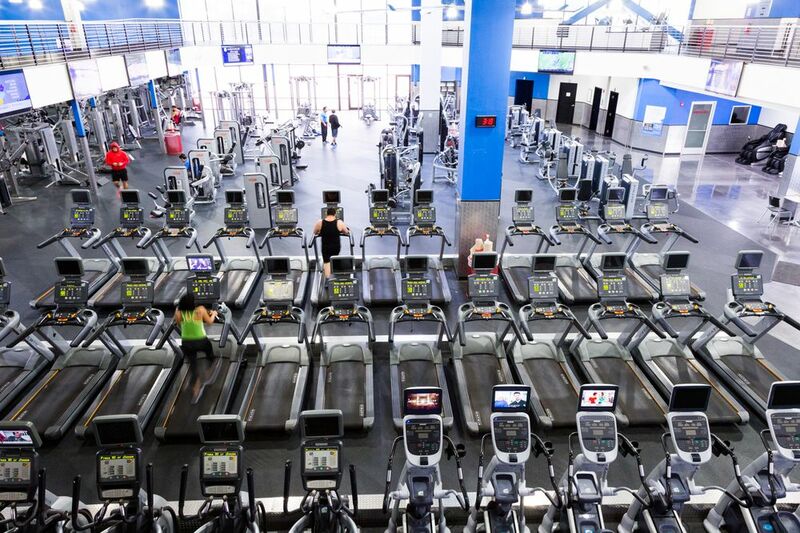 With the assortment of classes and amenities, it’s no wonder so many people love this gym and come regularly. While I was in San Antonio I had to come and see what all the hype was about. My visit was even better than expected. After talking with the front desk I decided to try their Spin class. Taking a class here just made me even more of a Spin enthusiasts! If you’re a CrossFit athlete then you’ll definitely want to come to CrossFit 925 on your next visit to San Antonio. The box was clean and had all the latest and greatest from Rouge. My experience there was great and I definitely made the most out of the day’s WOD. The instructors were great and gave special attention to make sure everyone was performing the exercises correctly. Overall, my visit here was great! The people were nice and knowledgeable which made it a truly memorable experience. I really felt the burn doing air squats and push jerks!